Where do writers’ get their ideas from? It often starts with thoughts of a character, a specific era or location and grows from there. More often than not, great stories simply come from real life. 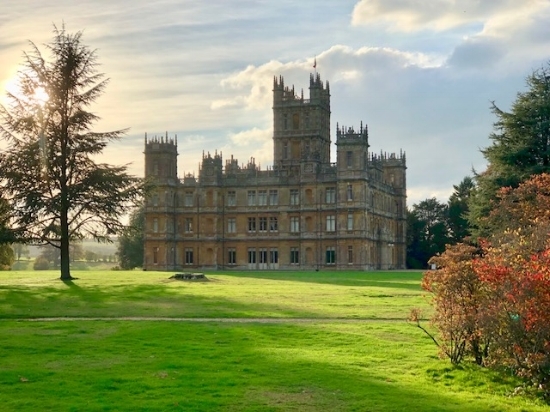 When Julian Fellows started to write the script for the television series, Downton Abbey, he based much of the story content on the historical events of Highclere Castle in Hampshire, England - the ancestral seat of the Herbert family and home of the 8th Earl & Countess of Carnarvon. Last month I was given the most wonderful surprise - a guided tour inside this beautiful home. 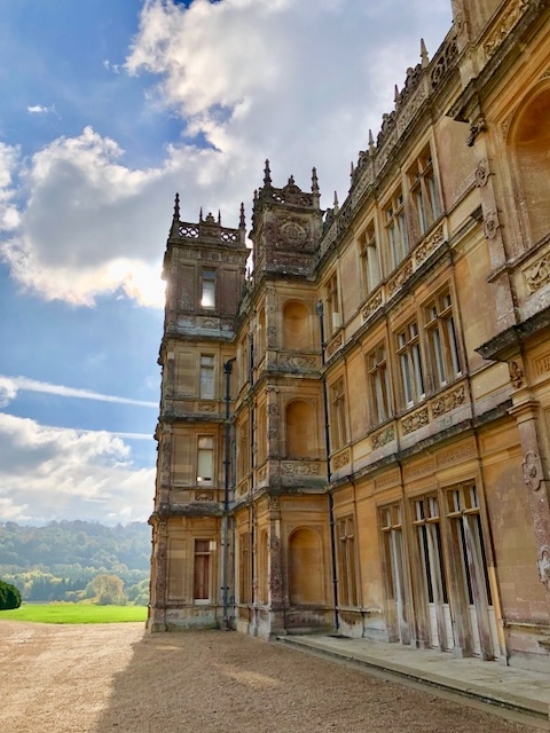 It’s easy to see why Julian Fellows found so much inspiration at Highclere Castle. This truly is the most beautiful place. We were not permitted to take photos inside the castle, but here’s a little of what I saw. This magnificent tree, a Cedar of Lebanon, planted in 1770. The seat featured in many of the scenes from the series. I couldn’t help but think about all the people who have passed through these doors over the centuries. Now I was one of them. Highclere Castle in the late afternoon light. Built in 1743, these Corinthian columns form part of what’s known as Jackdaws Castle. Everywhere I looked there was something beautiful to see. I’m tempted to add an historical novel to my writing list. Maybe it’s time to take tea in the library for some inspiration?